Come experience our cabin rentals in Mountain Park Resort in beautiful Pigeon Forge, TN! Not only do these resort cabins boast a great location that's less than a mile from the Pigeon Forge Parkway, but many of these cabins also provide access to the Mountain Park Resort swimming pool! This outdoor resort swimming pool is available during the warm summer months and it’s the perfect way to beat the heat during your Smoky Mountain vacation. When you aren't busy enjoying your lovely Mountain Park resort cabin or unwinding at the outdoor pool, you can easily explore nearby attractions in Downtown Pigeon Forge like The Island, The Titanic Museum, Dollywood, and The Historic Old Mill. 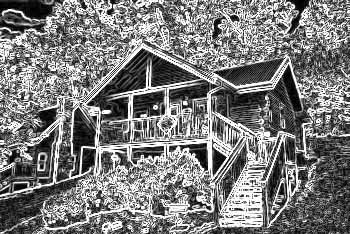 Best of all, when you reserve a Mountain Park cabin with Cabins USA, you can save 15% on your nightly rate with our special discount. Simply check our cabins' availability to see how much you can save on your getaway to Pigeon Forge and the Smokies!